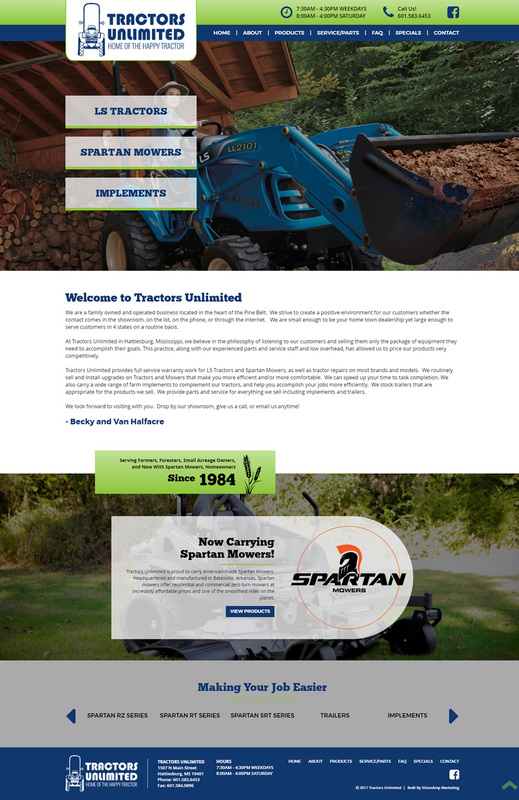 The new Tractors Unlimited website is mobile-friendly and responsive. The new web design also includes added features such as a FAQ section and has dedicated pages to highlight each product with model breakdowns. The large images and new color scheme give the website a fresh look and make it easy for visitors to the site to find what they need. 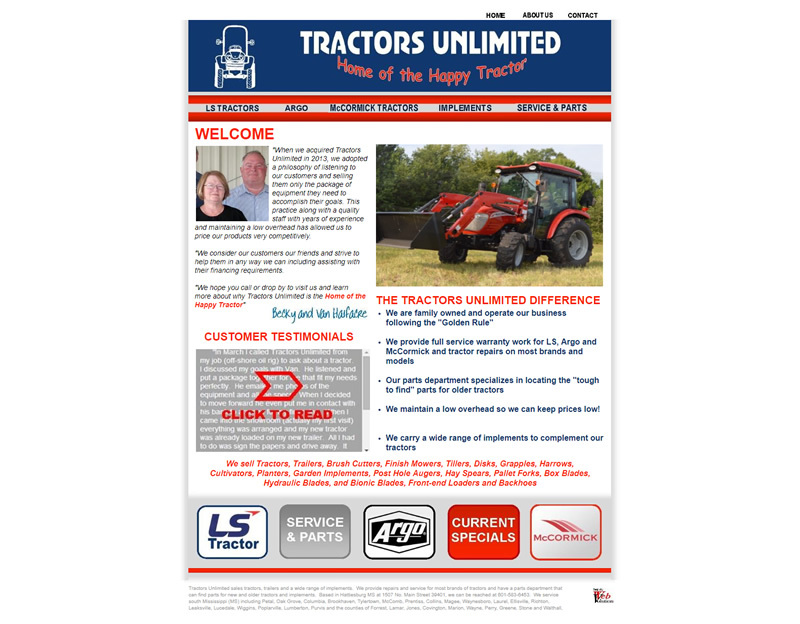 Tractors Unlimited has been in operation since the mid 80's selling and maintaining tractors, selling implements and parts, and providing excellent customer service. Their most popular brands include LS Tractors and Spartan Mowers. They are also proud to offer a quality service and parts department for everything they sell.